This exquisite Bar Mitzvah will surely get noticed by your guests! A bottom of textured Expresso card stock is the base for die-cut layers of shiny Chrome Gold and Natural Smooth Vellum. 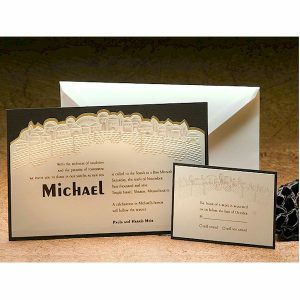 The top layer has deep embossing and delicate offset coloring of the city of Jerusalem. This exquisite Bar Mitzvah will surely get noticed by your guests! A bottom of textured Expresso card stock is the base for die-cut layers of shiny Chrome Gold and Natural Smooth Vellum. 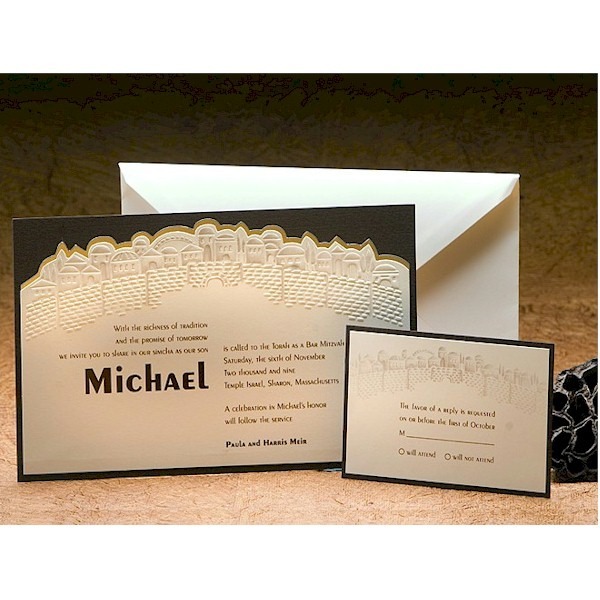 The top layer has deep embossing and delicate offset coloring of the city of Jerusalem. Measures 9″ wide by 6″ high. Shown with Brown thermography and typestyles Peignot Light and Peignot Bold for the names. 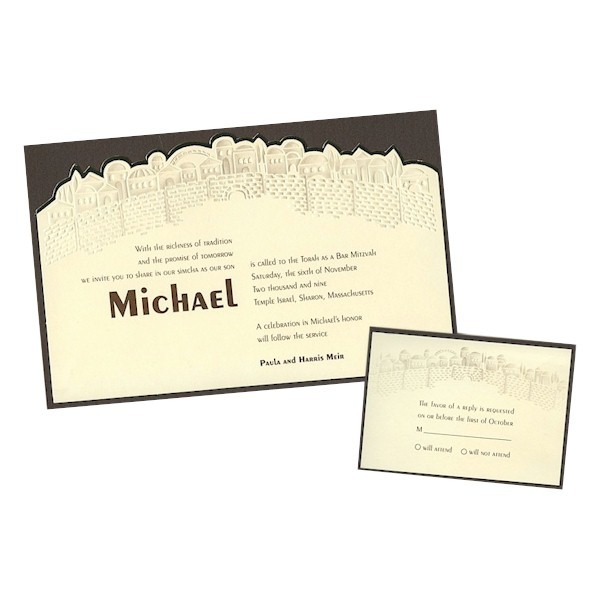 The matching response and reception cards have the city scene offset in a soft taupe and are double-layered. 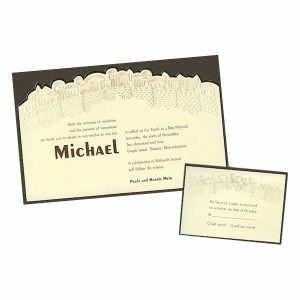 The informal note matches but is a folder to allow for writing a personal message on the inside. 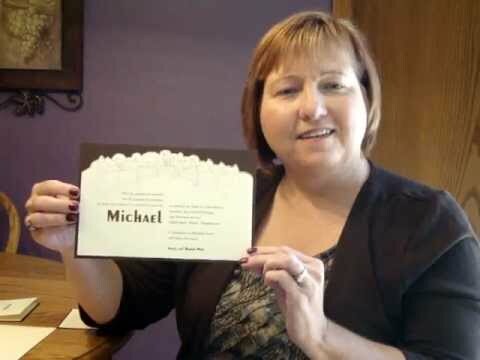 This Bar Mitzvah invitation is accompanied by single ecru envelopes. Please note: You may request the designation “Made in Israel” to be printed on the back of your invitation at no additional cost.